With the significant responsibility of administering over $100 billion in financial assets for its customers, having the right security in place is a top priority for se2. As a leading North American third party life and annuity insurance administrator serving more than 35 insurance carriers and 20 customers, se2 was concerned about protecting their clients’ highly sensitive financial data from even the most sophisticated cyber-attacks. join Saul Schwartz, Enterprise Security Engineer, se2 and Check Point to learn how se2 addressed these challenges, and how SandBlast Zero-Day Protection helps their business stay one step ahead of today’s modern malware. Ransomware reached epidemic proportions in 2017. Organizations of all sizes and sectors fell victim to malware that locked down, encrypted – and in some cases threatened to destroy – critical systems and data. - How does your organization avoid becoming tomorrow’s headline? - How can businesses continue to operate without disruption despite this looming threat? Learn how Check Point Anti-Ransomware technology protects against every type of ransomware attack, ensuring continuous access to your data. What can malware do in 60 seconds? One minute can change everything for a business. So what happens when the speed of business is overtaken by the speed of malware? The Check Point team devised a test to quantify that exact question. Watch this webcast to hear about the results of the Zero Second Test and how you can beat the speed of malware. Your organization needs rapid and precise protection against known and new emerging threats. But with a multitude of solutions available today, how do you identify the best one? Mobile security continues to be a challenge for organizations providing business access on mobile platforms, whether it is on corporate owned or personal devices. While point products provide help with addressing some concerns, they do not provide a complete enterprise-class mobile security solution. What can malware do in 60 seconds? One minute can change everything for a business. So what happens when the speed of business is overtaken by the speed of malware? The Check Point team devised a test to quantify that exact question. In a world of ever-changing cyber threats, organizations are facing the unprecedented growth of unknown malware. These attacks focus on stealing data, sabotaging business continuity, or damaging a company’s reputation. Organizations today are facing unprecedented growth in the diversity and number of security threats from advanced and sophisticated malware. New attack types combine known and unknown threats to exploit yet undiscovered vulnerabilities. Attackers are also hiding malware inside documents, websites, hosts and networks. These attacks have many purposes such as financial and ideological motives. They focus on stealing data, sabotaging business continuity, or damaging a company’s reputation. Watch this webcast to learn: what is a threat emulation sandbox and how does it defeat unknown malware; discuss what are the must haves and common pitfalls of malware sandboxes solutions; questions to ask when selecting a threat emulation sandbox solution; and how Check Point can defeat those malwares with the industry’s proven highest malware catch rate. In the world of ever-changing cyber threats, organizations are facing an unprecedented increase in unknown malware. These attacks focus on stealing data, sabotaging business continuity or damaging a company's reputation. Watch this webcast to review the results of a competitive test against 300 Unknown Malware. From the methodology used to run the test to the detailed outcome of the test, we will show how critical it is to understand and select the solution with the industry's best catch rate against known and unknown malware to protect your network and sensitive data. 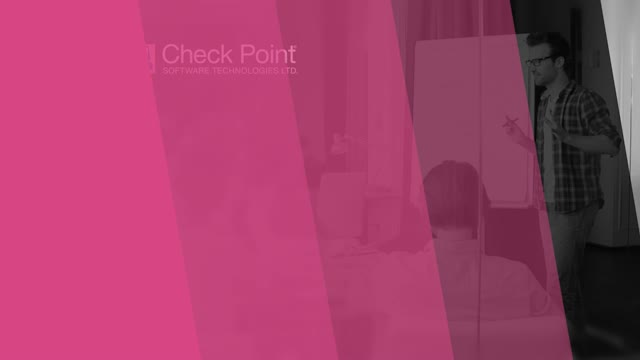 Check Point Software presents the Security Zone webinar series.